Divine Flow Yoga > Beginners > Just starting your Yoga Journey? Here’s what you should know..
Just starting your Yoga Journey? Here’s what you should know..
We know your first yoga class can be intimidating. We have been there too! I started my yoga practice as a very stiff student and completely lacked body awareness. In fact, my first class was with my sister, we shared many sneaky giggles as we plunged deeper into this “unknown” practice of breath and shapes. “How do they expect me to relax here?? I am struggling to just get into this pose as it is” I thought as my gaze lingered over to my also curious sister. “Oh whoops I missed that breath..” I was simply a beginner. Fast forward 7 years and my yoga practice flows effortlessly and I love that my journey was a slow process and I was not flexible overnight. I appreciated all the small improvements for what they were. Progress! Stick around for it and practice with consistency and just laugh or smile when you need to! 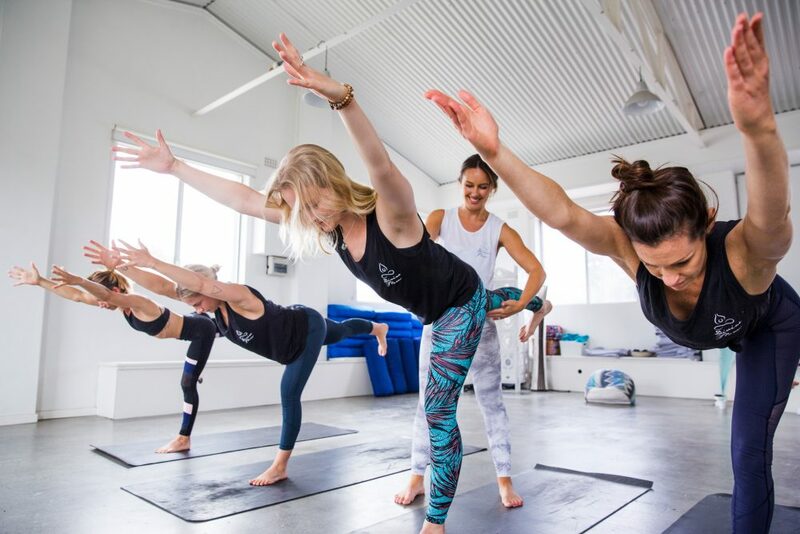 Here are some top tips from our senior DF team for starting your yoga journey. Do not compare yourself to others in class. Just know they are on their very own journey (and anatomically designed differently). Yoga is not super serious.. if you find something funny or new to you. Embrace it for what it is and let that smile radiate! Do not arrive expecting your teacher will “change” or “fix” you. Come with an open mind and connect to your increasing relationship to yoga. We are here to guide and lead you through your practice and want the best experience for each and everyone one of you. Just know sometimes it is hard to arrive on the mat, somedays it is easier and somedays your practice will never be the same. Come only for you. 1. When you’re starting anything new it’s important to give it a go. Commit for your intro pass and use it enough to get a feel for the place , check out different teachers and styles at the studio. If that studio didn’t do anything for you, don’t rule out yoga, check out a different studio. There are lots of different studio vibes out there, and if you did not have a positive yoga experience, approach a new studio with an open mind and heart. Yoga is awesome – trust me! Anything worth doing is not easy. Really the best things in life are all the things you have worked hard for, in whatever way, internally and externally. Be persistent in the pursuit of learning something new. Let yourself be vulnerable. 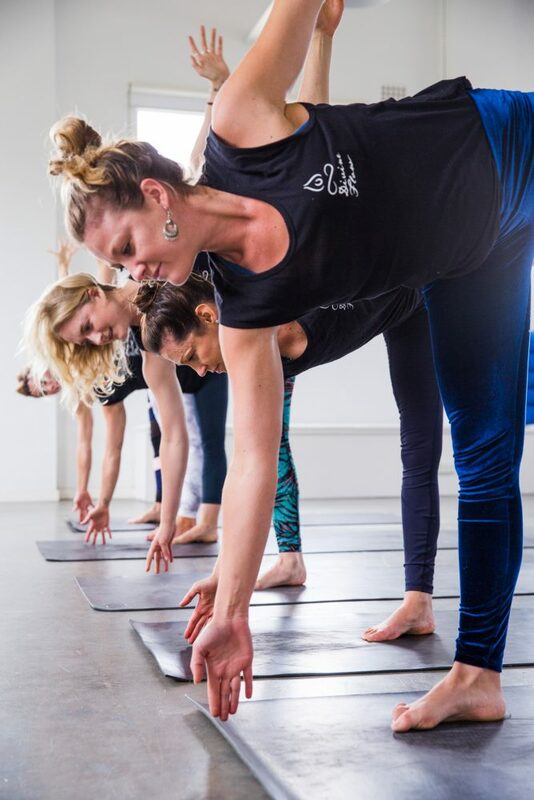 Discover the way in which you connect to the practice, we are all so different and are arriving on our mat for various reasons. Listen to your body, it’s your greatest guide. You are not in competition with anyone. This is your time to process, digest & heal. Think of your practice as your practice, it’s no one else’s. Know your limits. Keep an open mind. Get on your mat. Check-in with yourself. Be gentle with yourself. Try to focus only on what is going on within the four corners of your mat. BREATHE: Try this mantra in your head as your breath in and out. “I inhale all that I need, I exhale, that which no longer serves me.” Be conscious of your thoughts, can you shift the negative thoughts to something more encouraging and positive ones. When you feel you are lacking, I like to use the mantra “I am more than enough”.